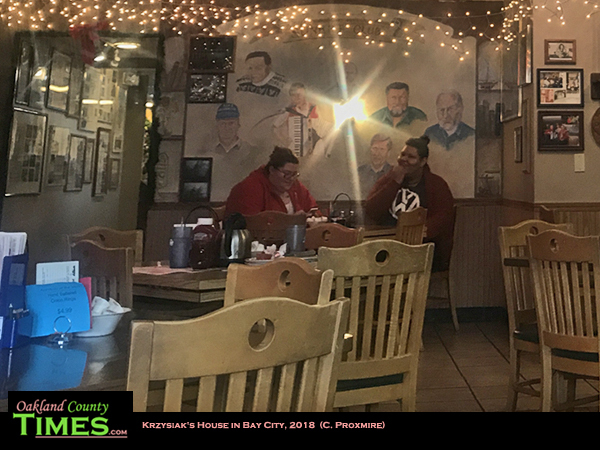 Bay City, MI – Sometimes a good meal is worth leaving town for. 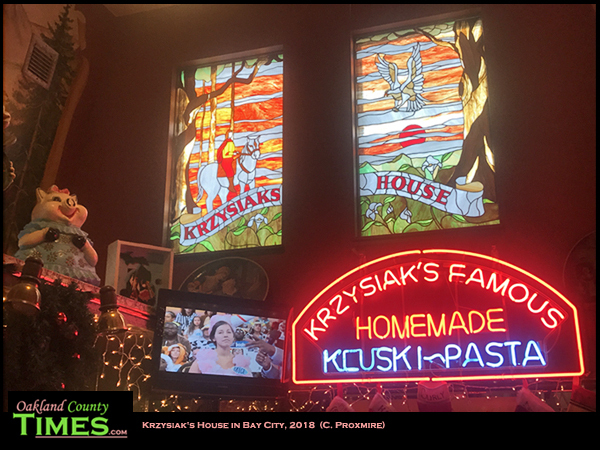 Those heading up north might take delight in this little Polish restaurant in Bay City Called Krzysiak’s House. 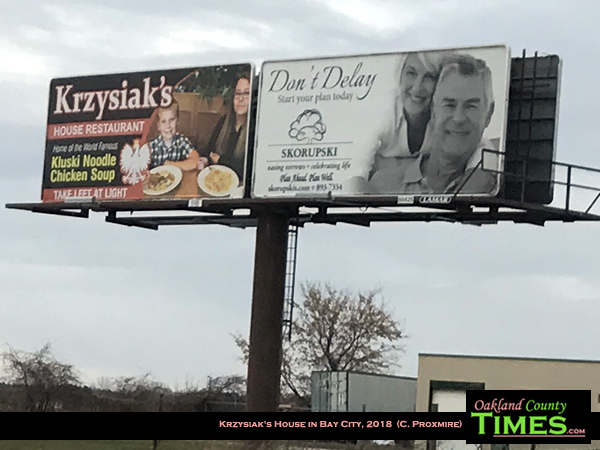 I learned of this gem from a billboard (advertising does work!) and I’ve actually been a few times since. 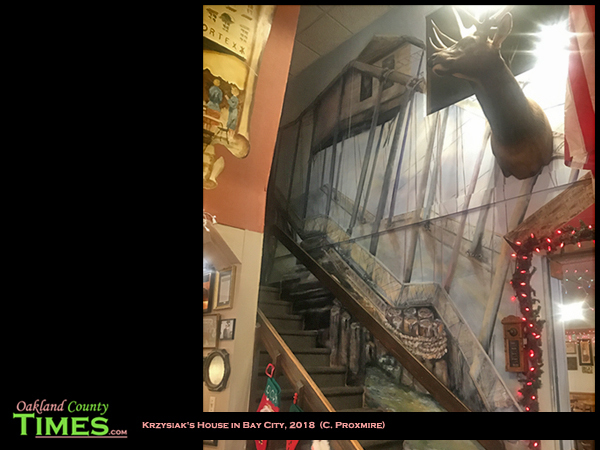 Not only is the food downright amazing, it is also inexpensive and served in an atmosphere that makes my creative mind delightfully happy. 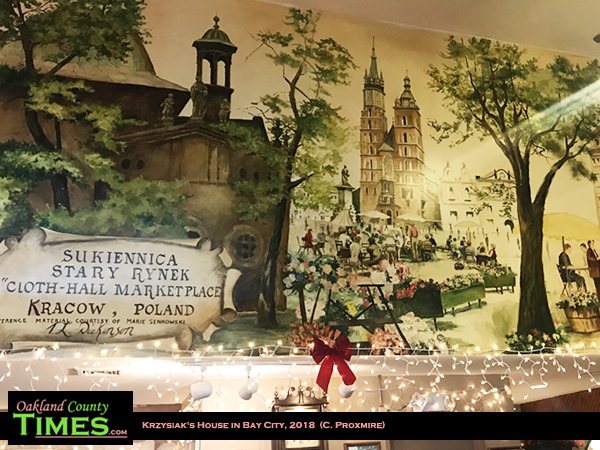 The walls of Krzysiak’s are covered in murals. Some are of the family. 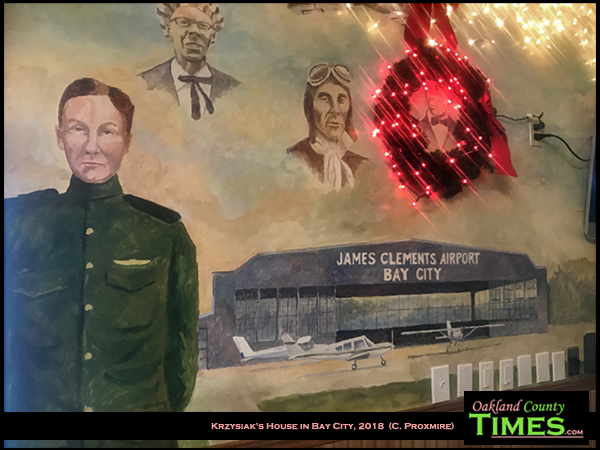 Some celebrate Bay City and the history of aviation. And some show scenes from Poland, like the large one of a plaza and café. It’s also very laid back. I felt very welcomed sitting alone with my notebook and laptop, working on stories and enjoying all the art. But it’s also bustling with guests of all ages. 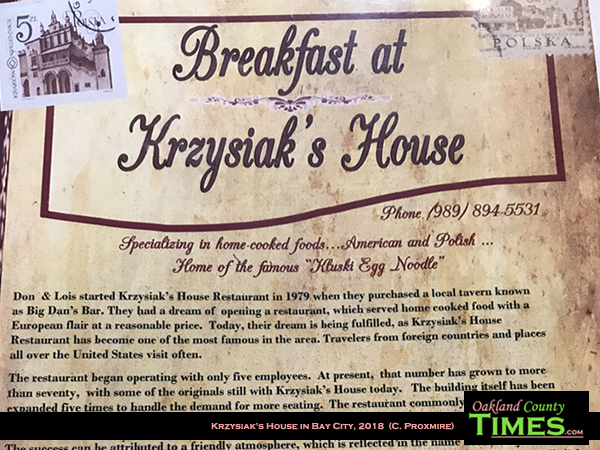 The menu tells the story of how they turned a small tavern into the restaurant, which has seen five expansions since first opening in 1979. 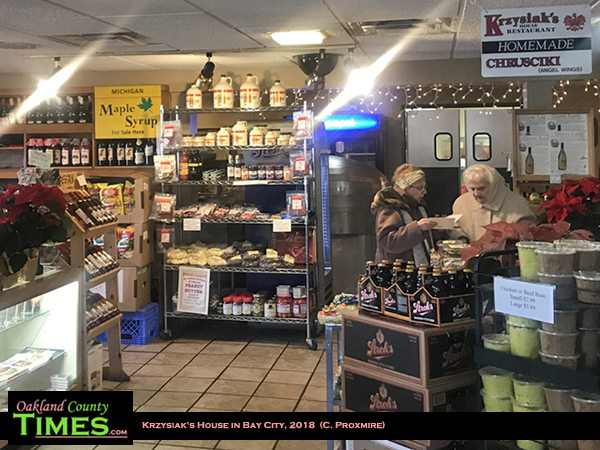 On busy days between 700-900 people come through, and their menu boasts of how much food they serve – including 200,000 lbs of fresh potatoes and 35,000 lbs of house-made sausage. Now, about that sausage… I have never had any like it. 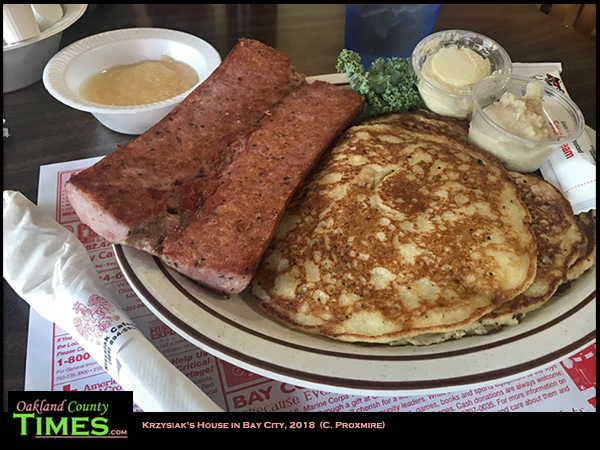 For this visit I had potato pancakes and the sausage and it was amazing. I’ve also had their succulent buttery blueberry pancakes, and a good old fashioned omelet. Everything has been wonderful. They serve lunch and dinner too, and I look forward to visiting later in the day sometime. Plus there is a gift shop with imported items from Poland as well as Michigan-made goods. Get more dining ideas at our Reporter Food page here.